I've been having great results since switching Junktroller to Whisper as well! Wow, this deck cleans up pods at my FNM! Some of the games were a bit grindy to get the win, but knowing I will be able to dig to so many ways to win, and am able to dodge lots of removal along the way... So damn good. Part of what drew me to this list was being a control player at heart, and this deck definetly scratches that itch really well. What's the word on Noosegraf Mob? It seems powerful. It's that time again! Time to review a set! I apologize for this being late; my college classes have been draining my time the past few months. 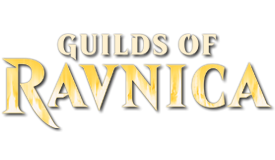 But here is my review of the cards in Guilds of Ravnica. As in the past, I will only review the cards I believe are worth discussing. If you think of another card in the set that you'd like my thoughts on, please feel free to let me know. Legion Warboss - Not near enough impact for us, and it encourages attacking which our deck doesn't really care to do. If you're running a swingy goblin version of Grenzo though, I would include this for sure. Blood Operative - There are way better options for graveyard removal if you need it. Not worth running. Moodmark Painter - While this definitely could work in a more swingy version of Grenzo, it's not going to be effective in this more combo-oriented list. However, if you turn sideways a lot, this is a fun option (cause our graveyard is usually pretty full). Midnight Reaper - Grenzo's ability is effective card draw and we'd rather have our creatures come into play than draw them and then have to hard cast them. Goblin Cratermaker - Amazing potential as additional artifact destruction, targeted removal, or potential Eldrazi removal. I love this card's versatility and will definitely be looking for an available slot in my list. Plaguecrafter - The gem of the set. A direct upgrade to Fleshbag Marauder. It makes players sac creatures. It makes superfriends sac planeswalkers. And if that player already has no creatures/planeswalkers, it destroys their hand. There's no downside for us and it destroys our opponents further than Fleshbag ever could. Instant replacement in the deck. Burglar Rat - Abusable discard trigger, but I feel there are better options if this is what you need. There's my review! Happy dungeon-delving everyone, and I'll be updating the primer soon to reflect several changes in my own deck list. 2. Requires opponent action. Our opponents have to cast spells to get additional creatures, so it's intrinsically worse than Siege-gang Commander or Marionette Master who immediately provide the creatures we want to start saccing. And unlike Noosegraf, they also have additional functionalities with the creatures they summon. So with those two issues in mind, I personally wouldn't run this card. So glad to hear you're having fun with it!!! I'm always encouraged to know others have found the joy of Grenzo. Got to try out the GRN cards we added in a bit tonight with Goblin Cratermaker and Plaguecrafter! Stylusing my plaguecrafter every round was able to net me a nice win vs a voltron enchantress deck, and a superfriends that were in full swing. I have updated the list with 7 new additions!!!! Make sure to check out the changelog to see the changes. Nice changes! I made very similar changes myself recently and I'm glad to see we seem to think alike regarding which direction to take the deck into. The only difference is that I chose to cut Tuktuk Scrapper instead of Goblin Trashmaster. They both cost 4, but the Trashmaster pumps your other goblins which is relevant and it can destroy more than one artifact if you have other goblins. I don't think that's worth the extra 1 damage of Tuktuk with him being the only ally in the deck. Also, you can flip the trashmaster and still benefit from the artifact removal ability even if there is no artifact to remove right when you flip it! I checked your Whisper combo and I don't think it works, you'd need at least another creature. Unless I'm wrong, you can't reanimate one of the two creatures you sac as part of the cost of Whisper's ability because you have to choose a target that's in your graveyard before you actually pay the ability's cost, which means the two creatures you sacrifice are on the battlefield when you activate the ability and you can't return one of them. Ah, you're right. I misread the colon as an additional cost. That is definitely a mistake on my part and I will update the primer to reflect that. However, despite my overestimation, I do still think Whisper, Blood Liturgist is a more fun and interesting choice than Junktroller. 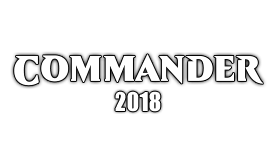 I got into EDH about 2 years ago with some precons, but the first standalone commander I started brewing was Grenzo, Dungeon Warden off of a super budget EDH deck list that I ordered for $31.51 USD. 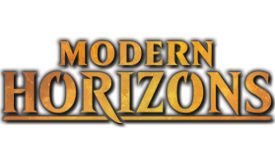 Contributors and guides like yourselves are an incredible resource to the mtg community and you should know that it has been highly appreciated. Thank you so much for the kind words; I'm extremely honored. And I couldn't have done any of this if it wasn't for this awesome community. Contributors and commentors on this topic have influenced a lot of upgrades/changes to the list. So I appreciate all of your help in making this list the best it can be. Your grammar is great, no need to apologize! I may have to look into Phyrexian Tower, because I do admit having an extra mana available could make a big difference since it's an additional flip when we're stuck at odd mana. Cost - A big part of why I love this list is its affordability that allows lots of players to jump in on the idea at a low investment level. This might be paranoid of me as it can easily be switched out, but I wouldn't want new players to jump on a list, see an $80+ card, and immediately assume the list is out of their price range. I know that's how I felt when I first started and saw lists with Mana Crypt, Chrome Mox, Grim Monolith, etc. Threat - Getting a turn 1 Mana Crypt is going to draw even more ire than a turn 1 Sol Ring. So you better believe people now have their removal primed and ready for Grenzo. This issue is mitigated when drawn in the late game, and it's still a powerful draw in the late game since it equates to an additional free flip every turn. Speed - The deck can already be lightning fast at times, and I really try to maintain my current speed to avoid complete oppressiveness in a more casual meta. This is definitely the weakest and most subjective point, but I feel the current speed is pretty great and I want to be cautious about making it faster. Either way, I'll add them in the "Alternate Meta Picks List", because they're ultimately worth running if you have them. Hi, I'm running a very similar list. Just a random question, why are you not running Blood Crypt, Sulfurous Springs and Tainted Peak? They're basically stricly better than mountains. Blood Crypt - Definitely needs to be in. I've just been waiting for the next Ravnica set so I can pick it up foil. Sulfurous Springs - Our life can actually be precious, especially when Treasonous Ogre is involved, so I'd rather not ping myself for the luxury of having another dual land. Obviously, Ancient Tomb and Blood Crypt will ping us, but their damage is different as Blood Crypt's a one time cost and Ancient Tomb is actively getting us extra mana. Tainted Peak - Our mana base has been stretched thin with already with all of the colorless lands we already run. Our list effectively only has 11 swamps (including Urborg), so without one of those, this is just a colorless land. It might be my paranoia, but I don't particularly like this card. Just realized Kuldotha Forgemaster isn't on the list. Being able to tutor and cheat out an Altar or Heartstone is usually worth it. I do run more artifact creatures, I think (including Precursor Golem), but you should be able to get at least one goodie to the board. Liliana, Heretical Healer also seems like a good call. You will almost always be able to flip her, and then you have both discard and recursion on hand. I really like the Kuldotha Forgemaster and will have to test that out. You're right in that getting one activation could potentially end the game. Thanks for the recommendation. As for Liliana, Heretical Healer, I ran her before and wasn't too impressed personally. But I'll admit I may have to give her another go and see if my view has changed with this newest iteration of the list. I'm also holding out on the next update until Ravnica Allegiances comes out. Here's to hoping there's some sweet Grenzo toys in the Rakdos-infused set! This is very nice! Another goblin sharpshooter/Thoctar like effect is very welcome! Would have been an instant include if we could trigger all our eldrazi and goblin tokens. Hey I've built this deck a week ago and had such a blast playing it. Now since the RNA spoilers started and we've already seen the nice card above, how are you feeling about Amplifier? He seems pretty strong in this deck, since he is able to put a creature from the top to the bottom, giving us a bigger chance of drawing a non-creature and putting the creature on the bottom of our library. The only downside in my opinion is the revealing, because sometimes it's better for us to surprise our enemies what is underneath our library. Judith is a great addition to the deck because it increases the chances of enabling Grenzo to consistently hit. Chiming in to express appreciation for this. It seems like a ton of fun with a pretty solid card advantage engine. I'm honestly surprised with it. 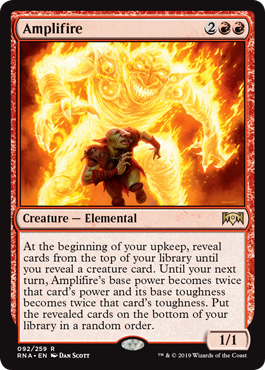 Who knew Rakdos could generate card advantage? Only two words: "random order". Oh you're right, I totally overread this part. Thank you for clarification. My bad. I experienced the same level of devastation when I saw that Reality Scramble also had that clause...both of these cards would've been a lot of fun otherwise. Agreed, Judith seems better the more I think about her. Even with the nontoken stipulation, I think she'll be a powerful addition to the list. And thank you! It's part of the reason why I love Grenzo so much; he's a Rakdos commander that "draws" a lot of cards and plays at instant speed. It's like playing a blue commander with no blue! Orzhov Racketeers - If you're wanting to throw afterlife in the deck, then this card could be included as almost a delayed Siege-Gang Commander. But ultimately, our deck wants immediate payouts or extreme benefit from delayed actions. This card provides neither. Priest of Forgotten Gods - I was excited as I read the card, and then let-down by the time I finished it. If this card added mana for each opponent affected by the sacrifice trigger, it would be an immediate include. However, saccing two of our creatures for a Fleshbag Maraudertrigger, one Ashnod's Altar activation and a card is not worth our time. 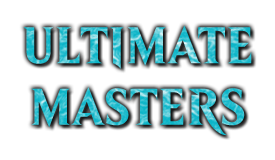 Mana's the most important aspect for our deck, and if you want a one-to-one ratio for mana, just run Phyrexian Altar instead. Undercity Scavenger - The extra +1/+1 counters don't matter in our deck, and the scry trigger has the ability to whiff thus wasting what could have been an impactful ETB. Amplifire - As others have stated, this card is bad for the deck. It puts all revealed cards on the bottom of your deck in a random order. It CAN be good if you hit a creature immediately off the top; but once you start hitting noncreature cards looking for that trigger, you're just setting yourself up for a bunch of dead flips. Dagger Caster - Too small of an effect to be worth running, and there are a lot of better creatures we can abuse with a Digger Loop. Immolation Shaman - Also pretty uninteresting. If you want a punish effect in the deck, use Harsh Mentor; but neither fulfill the goals of Grenzo. Mirror March - I LOVE this card. Unfortunately, I won't include it in my list since it's a dead, nonrecurrable flip and it's an immensely heavy mana cost to cast from hand. However, if you're running a more noncreature focused build and don't mind the extra dead flip chance, then go for it. Here's to hoping we get a Phyrexian Delver type ability for enchantments in the future. 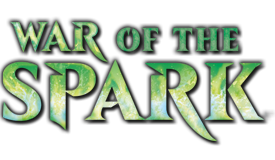 Return to Theros maybe?...once can dream. Rix Maadi Reveler - Grenzo's all the "draw" we need. Looting is unhelpful; and while the spectacle could be useful at times to dump a hand filled with creatures into our graveyard, it's not worth running the low-impact creature for that hypothetical situation. Smelt-Ward Ignus - As an ETB, it could probably find a slot. As an activated ability with the sac cost, I'll skip. Zealous Conscripts is just better in every way. 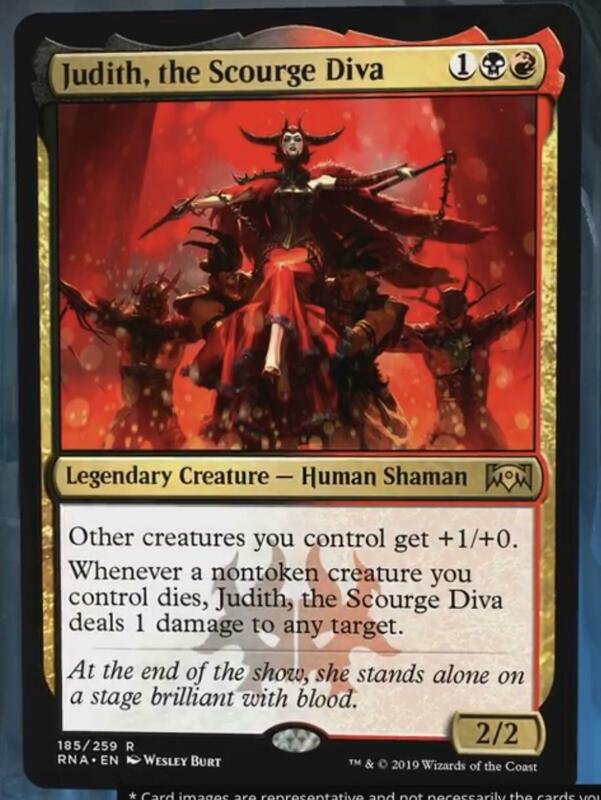 Judith, the Scourge Diva - The one saving grace of the set for our list. She buffs Grenzo to 3 (making him more reliable if we ever need a Tel-Jilad Stylus protection activation) and she provides another ping source for all of the saccing we do. My only regret is the "nontoken" clause, but I definitely think she's still worth testing. 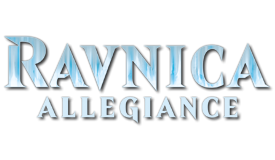 That's my review of Ravnica Allegiance. A new update to the list will be coming out shortly, so stay tuned for that. See you later, Dungeon-Dwellers! My next iteration of the list has been updated! Check out all 6 changes I made on the initial post. Soon I will also be adding a budget list that someone can use to build the deck for less than $100, so that's exciting! These "emblems" are all in an effort to slow my deck down a bit so it doesn't start steamrolling quite as fast. What are your guys' thoughts on this type of additional effect on myself? Is there a way I could do this better? Let me know your thoughts; and as always, happy dungeon-delving, friends!